Well, July certainly turned out to be the month of the Roller Skate Dress, didn’t it? 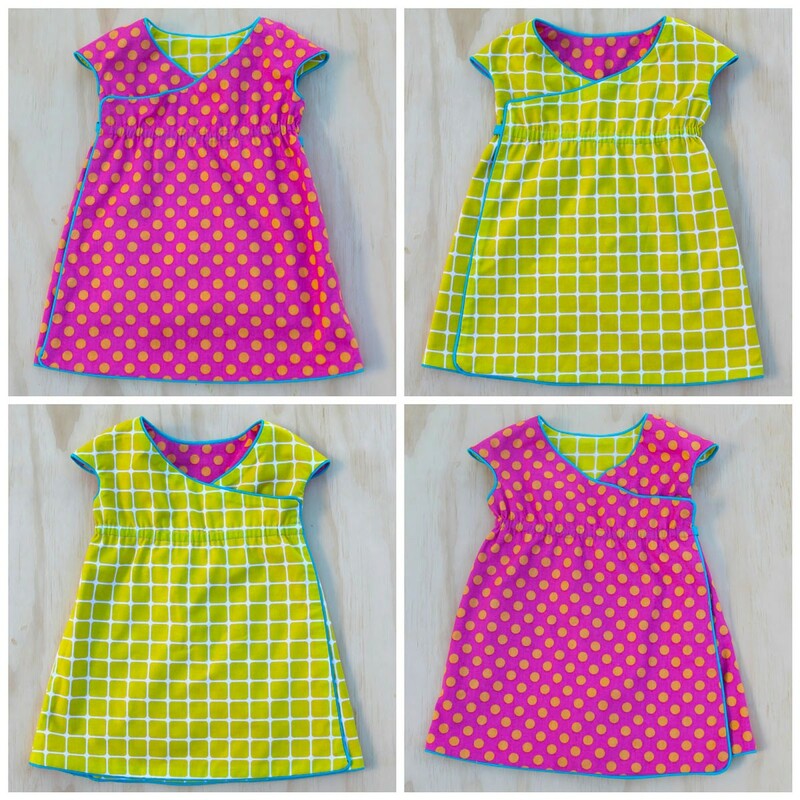 Between Flip This Pattern and the Super On-Line Sewing Match, a lot of wonderful and inventive versions of the pattern showed up. You were a busy bunch! Thanks to both Frances Suzanne and Sew Mama Sew for including us in all the fun, and for giving you the chance to show off your incredible sewing skills. We certainly enjoyed being part of this and hope you did, too. And the wrap dress that won is just fantastic. Really cute and clever, with great colors. 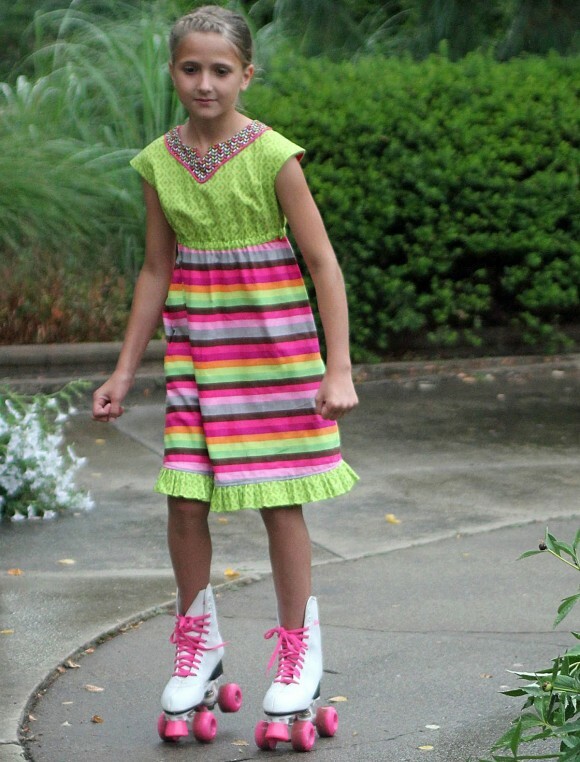 Let’s not forget the inventive Roller Skate Dress that our hosts sewed, too. All those grommets and laces! I adore the decorative running stitch especially. Everyone lavished such attention on these dresses! You all amaze me. Moving on, then, to the Super On-Line Sewing Match! All I can say is that I’m glad I’m not a judge for these events. Every one of the contestants’ dresses turned out beautifully. Did you see that wonderful chevron version with all the matched stripes? Whoa. Each version of the pattern turned out so well, with lots of clever and interesting details. And let’s not forget the sew-along portion of this contest as well. You can see the entries in the Flickr group. Nicely done, everyone! So a big thank you to everyone who participated, both hosts and contestants. I loved seeing everything that you made and hope you had fun with the experience too. What’s on your sewing table for August? Is there going to be a pattern of the month at your house? And would you like to see more contests like this? Perhaps we should we consider hosting some ourselves! I’d love to hear your thoughts.